Founded in 2006, the Alliance for a Green Revolution in Africa (AGRA), is an African-led African-based organization that seeks to catalyze Agriculture Transformation in Africa. AGRA is focused on putting smallholder farmers at the center of the continent’s growing economy by transforming agriculture from a solitary struggle to survive into farming as a business that thrives. As the sector that employs the majority of Africa’s people, nearly all of them small-scale farmers, AGRA recognizes that developing smallholder agriculture into a productive, efficient, and sustainable system is essential to ensuring food security, lifting millions out of poverty, and driving equitable growth across the continent. AGRA is rolling out a new 5-year strategy to catalyze and sustain an Inclusive Agricultural Transformation in Africa to increase incomes and improve food security for 30 million farmers. Under this strategy, AGRA will deliver through an approach that simultaneously catalyzes change at farmer level, strengthens input and output market systems and puts government at the center to enable and champion private-sector-led agricultural growth at national level. To support this transformation, AGRA is seeking to recruit an experienced and exceptional individual to the role of Development Cooperation Officer – West Africa. The role will be based in Accra, Ghana with regular engagement and support to AGRA West African countries, including particularly Ghana, Burkina Faso, Mali and Nigeria. The role will also provide support to other AGRA focus regions and countries from time to time as requested for top priorities. • Reporting to the Head – Development Cooperation, the Development Cooperation Officer- West Africa will contribute to the development and implementation of AGRA’s overall organizational resource mobilization and development cooperation strategy. • S/he will ensure proper relationship building while garnering a strong support base for AGRA across a wide range of development partners, including bilaterals, multilaterals and private foundations. • Working closely with the Development Cooperation Unit and Program teams, s/he will support the identification of funding opportunities, coordinates development and presentation of proposals to potential funders and supports the team to ensure compliance to AGRA and donor requirements for accountability, retention and upgrading of strategic partnerships after funding agreements are secured. • S/he also works closely with the Development Cooperation Unit and Program teams to understand the development partners landscape in the focus countries and identify and advance opportunities for strategic leverage, coherence, and coordination of resources from bilaterals, multilaterals and private foundations that will result in greater impact aligned with AGRA’s strategic mission of inclusive agricultural transformation. • Contribute to the development of a comprehensive short, medium and long-term resource mobilisation and development cooperation strategy for sustainable growth and flexibility. • Identify opportunities and working with teams to develop quality fundable concepts and proposals that will expand AGRA’s current support base. • Provide technical support to the preparation of concepts and proposals for donor funding and achieve pledge conversion rate and sufficient, predictable and sustainable donor support for AGRA in West Africa priority countries – Ghana, Burkina Faso, Mali, and Nigeria. • Secure funding from bilateral and multilateral donors, philanthropic foundations, and other sources, both to AGRA directly and to leverage funds into priority country plans more broadly. • Lead in understanding and cultivating opportunities with a portfolio of key development partners for the region as assigned to the team, including the African Development Bank, Islamic Development Bank, and key bilateral and foundation partners for the region. 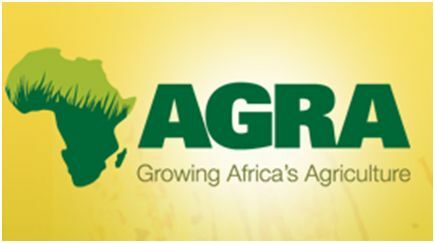 • Establish and maintain strategic relationships with a portfolio of development partners and collaborators at national government, regional level, and private sector that AGRA can work with to leverage its investments in agricultural transformation. • Support in development and management of a donor database containing critical information e.g. donor policies, funding cycles etc. in order to strengthen AGRA’s institutional capacity to effectively position itself with potential donors, retain and upgrade current partners. • Contribute to the development of regular donor updates for the board and management. • Support AGRA’s efforts to harmonize and coordinate reporting guidelines to donors across all AGRA activities to the extent possible in order to make reporting most efficient. • Support the development and dissemination of good practices and lessons learnt in order to contribute to AGRA’s institutional strengthening efforts. • Contribute to capacity building in resource mobilisation efforts as necessary. • A Bachelor’s degree in a relevant field, whether agriculture, finance, marketing, business administration, law, economics, international relations, communications or any other. A Master’s degree in a relevant field is preferred, but not required. • A minimum of 7 years’ of high-level experience in international development, including working in resource mobilization and/or business development for UN agencies and multi-lateral agencies, large NGO’s or donor-aid programs. • Experience in donor relations, resource mobilization and sound understanding of donor financing landscape and processes with a proven track record. • Proven ability to work with donors, manage and build strategic donor relations in West Africa is essential. • Fluency in English and French is required both written and verbal, as a working language of AGRA and key partners in West Africa region and priority countries. Please quote the job reference number in the subject line of the application e-mail.